Delia is a Legal Associate at Rajan Chettiar LLC and specialises in the area of family law. 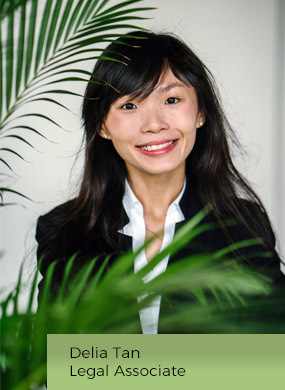 She graduated with a Bachelor of Laws from Singapore Management University (SMU) before training at an international law firm. Outside of work, Delia is a mentor to youths from various backgrounds. She enjoys hearing about their lives and helping them process through complex thoughts and emotions. To her, it is a great privilege to be able to journey with people through difficult seasons and to share in their burdens.